Imagine your event headlined by Rocko. How much buzz would booking Rocko bring to your event? GTB helps customers Book VIP Shows, Corporate Events, & Private Engagements with top talent for hire. GTB represents clients as they book talent like Rocko for their event. Click to start The Event Booking Process with Rocko. 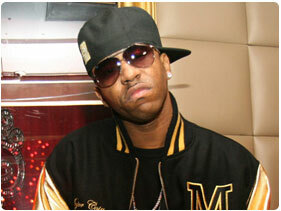 Rocko (born Rodney Hill, Jr.) is an American rapper from Atlanta, Georgia. Signed to So So Def/Island Urban Music through his own Rocky Road Records imprint, Rocko's first single, "Umma Do Me", was released in late 2007. His album, Self-Made, was released on March 18, 2008. Atlanta Dirty South rapper Rocko's music career always had been a side note to his romantic relationship with R&B singer Monica until he signed with Def Jam in 2007. Born Rodney Hill, Rocko started in the music industry as a producer and ghostwriter in his cousin's studio around 1999, then afterwards for small indie Triple A Records. Based on his success with label act Hitman Sammy Sam, he decided to venture out on his own, establishing Rocky Road Records in 2002. Under the imprint, he had a hand in developing artists like Young Dro and Dem Franchize Boyz before they graduated up to the majors. 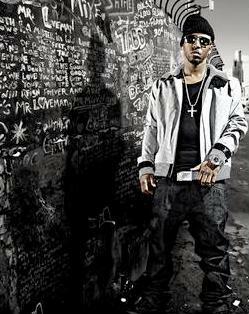 In 2003, Rocko tried penning rhymes for himself and released his first mixtape, NWA (No Wack Artist). However, the attention-grabber was his second mixtape Swag Season (2007), which boasted features from 2006 breakout rap stars Jim Jones and Rick Ross and sold all over Georgia and in neighboring states. After a front-page feature in Southern rap magazine Ozone, Island Def Jam signed Rocko and his imprint for an exclusive deal, which was helped along by an acquaintance of his (through Monica), IDJ urban division president Jermaine Dupri. Taken from Swag Season,l "Umma Do Me" became the lead single for his major-label debut, Self-Made (2008). Imagine booking Rocko for your next big event or party. Think about the exciting atmosphere you'll create. Picture what booking Rocko would bring to your event. Global Talent Booking can help you push that vision forward. Our entertainment agency will work with you to put the right talent in the right situation. We know what it takes to organize events that exceed everyone's expectations. To learn more about booking Rocko, please fill out the event inquiry form provided on the site. We'll have an entertainment booking agent contact you immediately. Click for Rocko Event Booking. GTB is a celebrity talent booking agency for paid events. We do not handle media requests, or interviews. GTB will not relay messages to Rocko or solicit donations on your behalf. While celebrities do donate their time, they will always charge some kind of fee to do any event, project, venue or celebrity appearance. Booking Rocko Not Quite Right? We have the entertainer for your Event! Putting together a memorable event isn't easy. Booking Rocko certainly raises the profile of your show or event. GTB is ready to help you make the event flawless, so your attendees remember Rocko instead of a mix-up. Private Parties, Concerts, Ceremonies, and any other big events require both planning and personnel; Global Talent Booking can help you every step of the way, from booking to advertising a public Rocko event. Should you prefer a private Rocko showing, Global Talent Booking has the tools, connections, and expertise to help you manage a velvet roped evening, elegantly! Global Talent Booking has worked with exemplary talent for over 15 years. Booking Rocko and other world class entertainers is our expertise. From private concerts featuring some of the most famous names in the music industry to corporate events DJed by the best in the industry, we excel at showcasing your image. GTB is ready to help you book your favorite musicians, djs, and celebrity talent; creating memorable entertainment experiences is what we do everyday. Global Talent Booking Agency services help you with event talent booking. Our services include talent scheduling, contract negotiations, marketing/promotions, agent and/or agency interaction, and so much more. We can help you book Rocko, advertise a public event or help you manage the guest list. Our event booking services can even include the press work after your Rocko event. Global Talent Booking is here to help you mind the details so your event with Rocko is `World Class` the first time, each time, and every time. Our entertainment agency will work with you to put the right talent in the right situation world wide. Global Talent Booking is an International talent booking agency. If you are interested in an international Rocko event booking, click here to get started. We know what it takes to organize events that exceed everyone's expectations, no matter where they are in the world. We look forward to helping book your`s. Click to Start Booking Rocko. Celebrity Talent, like booking Rocko, makes all the difference. Contact our Expert Rocko Booking Agents. We are ready to help you start coordinating your Rocko event immediately.